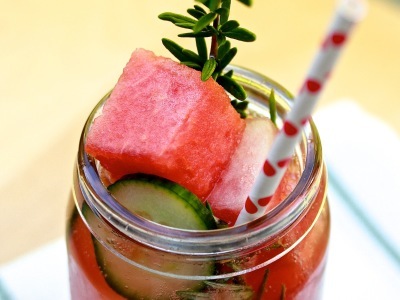 The Mason Jar is back in vogue. Over the past couple of years, recycled Mason Jars have been popping up all over the place, in DIY and craft projects, home decorating, cooking, storage and cocktails of course! The revival of the Mason Jar emerged with the recycling and repurposing movement. We can thank the hipsters for both their green and vintage values, which partner so wonderfully in philosophy and in practice. It’s now super fashionable to be seen holding your beard back while drinking out of a glass jar while reading 1984. It carries social value, automatically meaning you are a conscious consumer of the 21st century and has the added bonus of reducing your environmental impact. What’s the fuss with Mason Jars? Well, aside from the fact that repurposing pre-loved is helping the environment by reducing waste, they have a lot of vintage significance and are extremely practical. 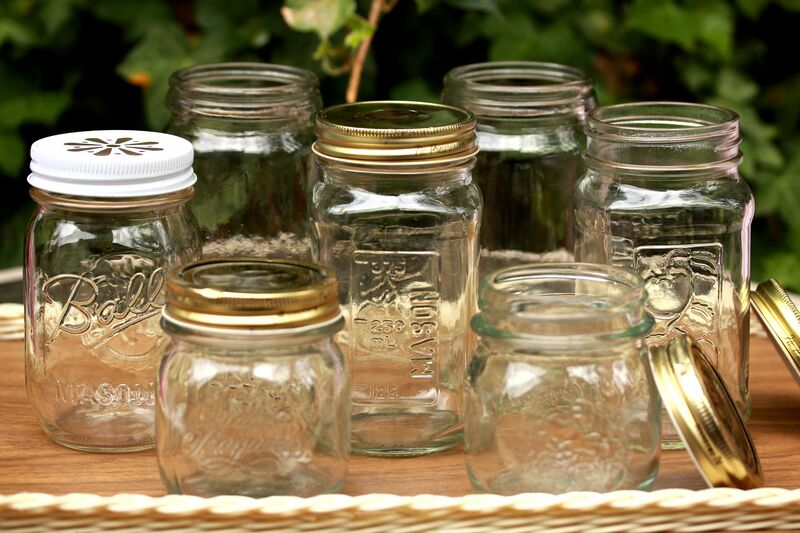 Mason Jars are made from moulded heavy glass with screw on aluminium lids. They were traditionally used for canning fruit. Then they became popular for pickling and preserving; those of us old enough will remember them in our Nana’s kitchen. The Mason jar was patented in 1858 and when its patent ran out in 1870, many other companies copied its unique design, one of those being another brand of jar we see around a lot called Ball. What made the Mason Jar special was its innovative design, embossed branding and square shape. They seal tightly because of the screw threads in the glass rim and the metal band around the lid, which has a rubber ring on the underside, so the lid presses down against the rim of the jar and seals it tightly. 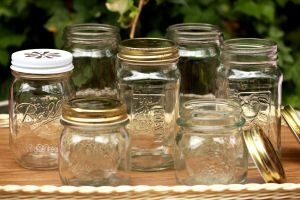 Mason Jars lost their popularity for a long time in favour of plastic, but since being exposed for its health hazards, people have been abandoning plastic and going back to glass in droves. Who would have thought that a little glass jar would have such a fascinating story behind it! 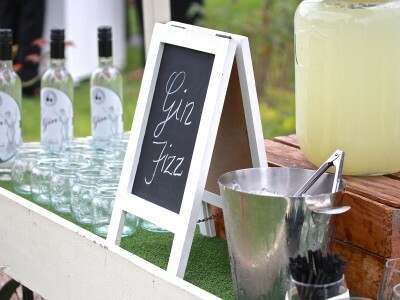 The best thing about using Mason Jars for cocktails is the convenience of being able to make the cocktail in what you serve it in. 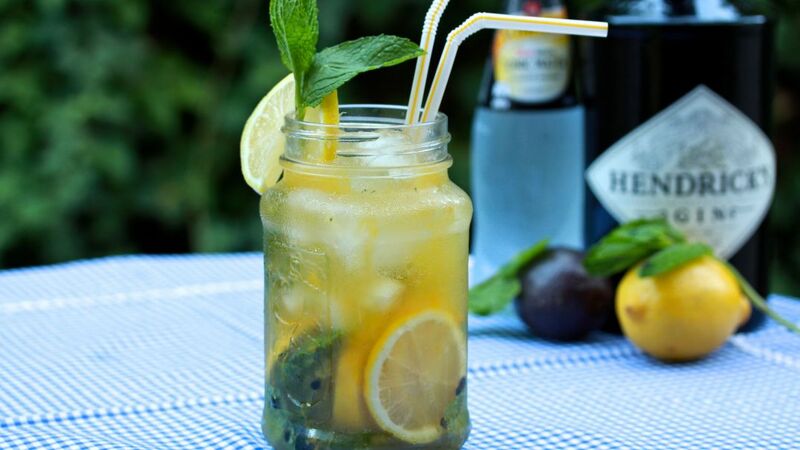 Add lemon slices, lemon juice, mint leaves, passionfruit pulp, ice cubes and gin to a tall mason jar. Seal tightly. Shake rigorously. Open jar and add tonic water. 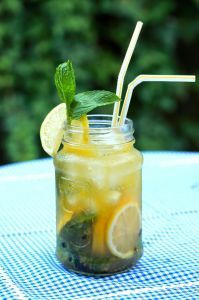 Top with extra ice cubes and garnish with a sprig of mint and a slice of lemon. 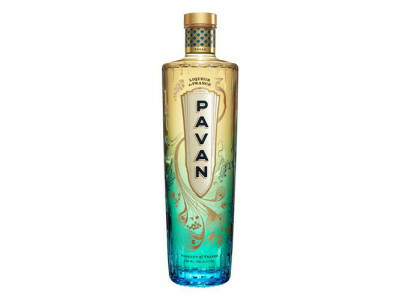 Serve with a drinking straw. Note: for a slightly sweeter, less tart version, use canned passionfruit pulp in syrup as available in supermarkets.